Check out the gas mileage we're able to get here. 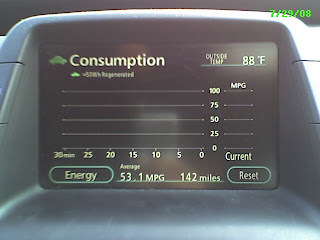 Yes, that is correct - 53.1 MPG for the last 142 miles! Plus gas prices are as low as $3.69 at some gas stations.